CALGARY, Alta. 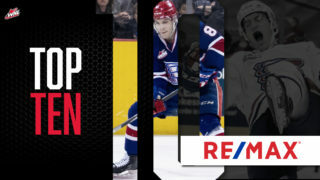 — The Western Hockey League announced on Monday that Spokane Chiefs forward Adam Beckman has been named WHL Rookie of the Month for March 2019. 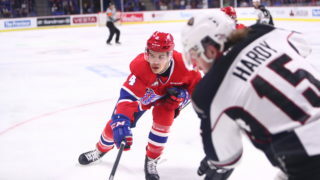 Beckman posted 17 points (9G-8A) in 14 games as the Chiefs closed out their regular season and earned a first-round series win in the 2019 WHL Playoffs. 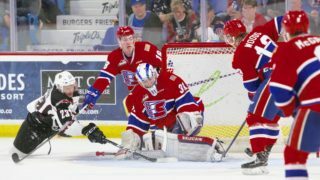 He helped the Chiefs secure second place in the U.S. Division down the stretch of the regular season, scoring 12 points (6G-6A) in the Chiefs’ final eight games as Spokane went 6-2-0-0. He piled up 2G & 2A vs. Victoria on March 9 and his first career hat trick (3G-1A) in Spokane’s regular season finale against the rival Tri-City Americans on March 16. The 17-year-old from Saskatoon, Sask. continued to make an impact in the playoffs, recording three goals and two assists in the Chiefs’ five-game series win over the Portland Winterhawks. He scored the game-winning overtime goal in Game 4 at Portland. 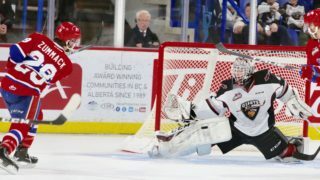 Ranked 44th in the latest NHL Central Scouting rankings ahead of the 2019 NHL Entry Draft, the 6-foot-1 winger netted 32 goals as a rookie during the regular season, earning the team’s Rookie of the Year award after becoming the first rookie to lead the Chiefs in goals scored since Daniel Bohac (26) in 1998-99. His 62 points were the most by a first-year Chief since Roman Tvrdon (70) in 1999-00. Beckman was originally a fifth-round (96th overall) pick by Spokane in the 2016 WHL Bantam Draft. 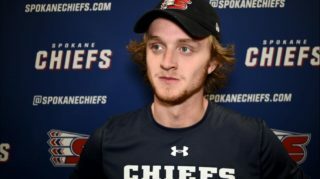 Beckman and the Chiefs return to the ice on Saturday in Everett as they begin their second-round playoff series versus the Everett Silvertips. Game 1 will begin at 7:05 p.m. Mike Boyle will have the radio call on 103.5 FM The Game & 1510 AM KGA beginning with the pre-game show at 6:30. 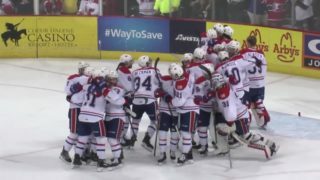 The Chiefs return to Spokane Arena for Game 3, Game 4 and Game 5 (if necessary) on April 10, 12 and 13. Tickets for the second round are available online, over the phone at 509-535-PUCK and in-person at the Chiefs’ Ticket Office at Spokane Arena.